After more than a decade, South Africa will finally host a showpiece tournament again. 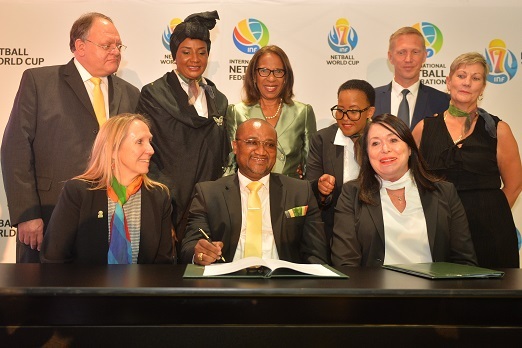 Bringing the prestigious tournament to Africa for the first time will offer an unprecedented opportunity to promote and develop the sport, local and international officials said on Thursday, after Cape Town was unveiled as the host city for the 2023 Netball World Cup. The International Netball Federation (INF) confirmed the Mother City would hold the 16th edition of the quadrennial tournament. It would be the first time the event would be staged on the continent. “Hosting this World Cup will make more young girls in our country participate in the sport, especially young girls from the working class background,” said Netball South Africa chief executive Blanche de la Guerre. The New Zealand netball federation had hoped the tournament would form part of its centenary celebrations in 2023, after Cape Town had been locked in a bidding war with Auckland. The INF, however, had felt Cape Town would offer greater value to the sport in terms of local and global development. “The INF board decided that the significant investment that the South African government and Western Cape were prepared to make over the next four years in netball facilities and coaching programmes in South Africa, the African continent and beyond would deliver a greater impact on the development of global netball,” said INF president Molly Rhone. According to the bid committee, the tournament would cost around R68 million to organise, and it had a potential economic impact of R2.5 billion. South Africa is also set to become only the second country, after England, to host the football, rugby, cricket and netball World Cup events.